There are more than 2000 species of snakes that are found on earth. Out of which approximately 300 snakes are considered to be venomous. The venomous snake use their venom to kill or suppress their prey rather than for self defence. They range in size from tiny, thread snake to as long as 20 ft snake. Snakes are found in every place except Antarctica and few islands such as Ireland, Iceland and New Zealand. Found in Sub-Saharan Africa, Black Mamba got its name from the interior of its mouth. It is considered to be the most venomous snake. In Africa it is the most feared snake. Among locals, the bite of this snake is called as ‘kiss of death’, though attacks on humans are very rare. Found in Indian Sub-continent, is considered to be the longest venomous snake in the world, with an average length of 8 feet. They usually dwell in places having bodies.of water. They can easily be found in plantation fields. It is the member of India’s Big Four. It is also responsible for large number of bites, but the mortality rate is very low, as proper treatment is available. Unlike other cobras King Cobras are not shy. They are extremely aggressive. This is considered to be the most dangerous snakes in Asia. It was named after, Patrick Russell, a Scottish Herpetologist, who illustrated many of India’s snakes. It is also the member of India’s Big Four. 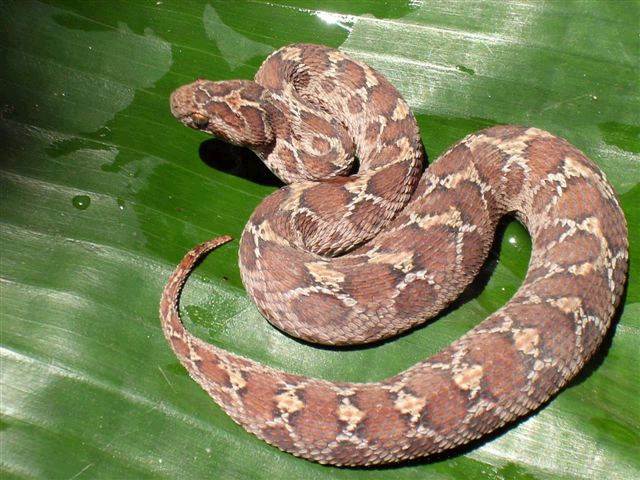 Also known as Bothrops asper or ‘ultimate Pit Viper’. They are widely spread from southern Mexico to northern South America. These are generally found near the human habitat, therefore it is regarded as the most dangerous snakes to humans. Found in the semi-arid region of Australia. It has the most toxic venom amongst reptiles. 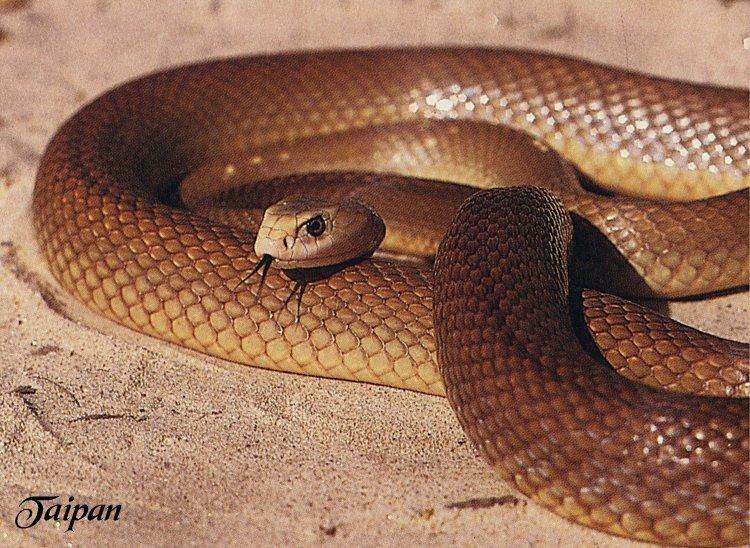 One bite of Inland Taipan has a potential of killing 100 full grown people. Though it is considered to be the highly venomous snake, but is not considered to be a deadly snake, as it lives in remote locations devoid of any human contact. They are quite shy in nature, and will always escape. They strike only if provoked or mishandled. Found in Sub-Saharan Africa. Boomslang means ‘tree snake’. They are highly venomous, but not fatal to humans. They strike only when they are provoked or attacked. They raise their necks and get into their striking “S”-shaped pose and then attack. Found in Indian Sub-continent. Also known as Indian Krait or Blue Krait. It is also a member of India’s Big Four. This species imposes the maximum number of snake bites in India. Its behavior changes during day and night. At night they are more active. Found in the dry and rocky regions of India, Sri-Lanka, Pakistan, Middle –East and Africa. Maximum number of snake bites in the world is caused by Saw-scaled Viper. They are relatively small, averaging 90 cm in length. It is also a member of India’s Big Four. They have a unique display of imposing threat. They will form a series of parallel, C-shaped coils and will rub together to produce a sizzling sound, which is known as stridulation.